After looking at the Rutgers Admissions Blog, it is an interesting blog that shows prospective students who are interested in applying to Rutgers what the school and campus have to truly offer. The blog is mostly from a student’s point of view; therefore there is no bias towards one side. Students can talk about the positives and the negatives of the school. Many of the posts include really great advice and tips from a diverse group of students. Students can be diverse in age, majors, ethnicity, etc. One student’s experience at Rutgers can be the complete opposite of another student’s college experience because of their differences. The blog allows prospective students to view both sides and help them make the ultimate decision. The Rutgers Admission blog has a nice title banner. The background color appropriate since the school color is scarlet red. The tag cloud has its pros and cons. A pro is that you can see what the hot topics are. For example, Rutgers has a very strong pharmacy program; therefore pharmacy is larger than some of the other words in the tag cloud. The bigger the word is, the more the word is used in the blog. However, the group agrees that the tag cloud is distracting because it makes half the page seem like it’s cluttered with random words. The titles of the posts are creative, but do not give a good description of what the post will be about. In addition, many of the post do not have tags. When a post doesn’t have any tags it is hard to locate key words. The tags help the readers get a sense of what topics the post will cover. Another negative about the site is that is has a long loading time. The site easily crashes as seen during class. It seems like if 20 users visits the site at once, the site will shut down. When the site crashes, it will be less likely for a reader to revisit the page due to inconvenience. In addition, some browsers were unable to view the comments to the posts. We also notice that the tag cloud goes all the way down the page, and the post list ends half way down the page. It would be better if the post list goes down the entire page and the tag cloud should be shorter. Lastly, we suggest that the blog has more pictures on the home page. This will make the blog more attention grabbing and attractive. Usually in magazines or newspaper, there is a large picture on the front page to capture the reader’s attention. The Impulsive Buy is food review blog. Products that this blog review are either new, limited editions, or improved products. Some products that they review are healthy, while others are considered junk food. One thing I like about this blog is that it has a comedic tone to it. For example, under a picture of yogurt they wrote, “This looks like a tasty way to consume micro-organisms.” I also like how easy it is to navigate through their blog; they categorized all products very well. Furthermore, on some of the posts, I like how the author gave the serving size, price, and location of purchase for the product. A thing that I didn’t like was that some posts were very brief. To illustrate, they would post a picture with one sentence underneath it, while there were other posts with three paragraphs. The overall template of the blog was too simplistic. There were no unique fonts used and the title looked plain. The next blog that has a similar focus as the one I want to create is called Lunch Box Blues. Lunch Box Blues is also a food blog, but instead of reviewing food products, the blog presents ideas for making healthy lunches for kids to take to school. In my own blog, I will review food products as well as provide recipes on healthy lunchbox ideas for college students. One aspect of the blog that I like is the professional photography used. The color variety and the placement of the food in the lunchbox or on the plate make the dish look very appetizing and attractive to the readers. Similar to The Impulsive Buy, this blog is very easy to navigate around because on the sidebar there is a long list of categories, making it easy for me to find what I am looking for. Some interesting categories the author created are, “left over pasta magic”, “do ahead lunches”, and “finger foods”. One thing that I dislike about the blog was that each post did not have a bullet point list with all the ingredients listed. The author did not even give the amount of each ingredient one needs to recreate the lunch. Junk Food Guy is the third blog I picked. This is a food review blog, critiquing a variety of junk food products. The first thing that caught my attention was the title of the blog located on the top of the page. It is a picture of a hand covered with cheese powder, holding a Doritos chip with the title of the blog on it. I thought this presentation of the title was much more creative than the other two blogs. Another characteristic I like about this blog is the number of pictures the blogger took. The blogger would take multiple pictures of one food product. He even takes a picture of the nutrition label, which the readers might find helpful and convenient. In addition, it seems like the blogger creates a post daily, keeping the readers up-to-date on new products. The tone of the blog is very casual and comedic. Overall, this is a very well done blog and I could not find anything to dislike. This is a really good blog that I can look at while making my own. After browsing through bloglovin’, one of the blogs that I have chosen to follow is titled, “A Beautiful Mess”. What caught my attention was the “above the fold” picture of cookies with gummies melted into the shape of a heart for Valentine’s Day. 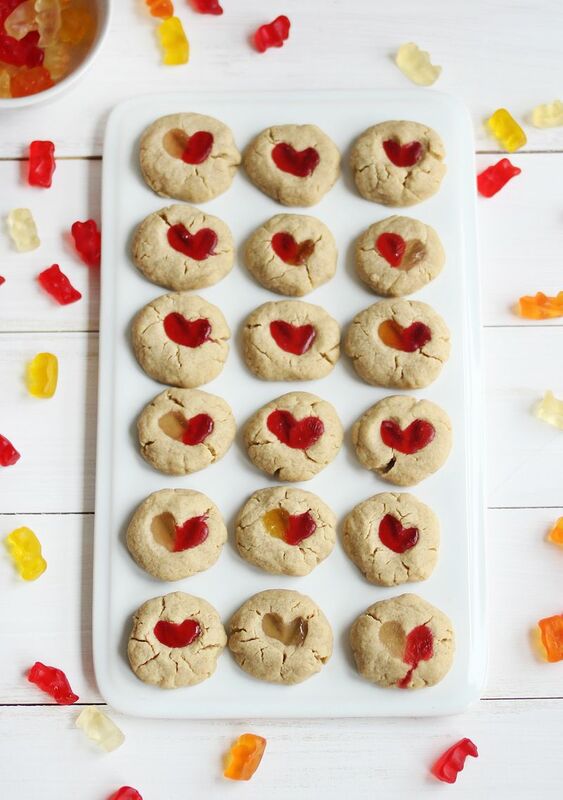 I love cookies and I love gummies, so what a brilliant idea! “A Beautiful Mess” is a self-hosted lifestyle blog. Located in the header of the blog, there is a “About” link. I learned that the blog actually started out as a “just-for-fun” blog by a young lady named Elsie. “A Beautiful Mess” started during the summer of 2007. Now, the blog is considered small company managed by four people; therefore it is considered a group blog. I was surprised to learn this because I usually think of a blog being written by a sole author. The overall theme or template of the blog is very pretty, simplistic, and colorful. Not only does the header show the title of the blog, but also six categories viewers can browse through. As I mentioned before, “A Beautiful Mess” is a lifestyle blog; therefore the categories include craft, photography, recipe, décor, fashion, and beauty. Since the gummy cookies caught my attention, I decided to read that particular post and learn how to make it. The post was very well done. The title of the post states, “Gummy Bear Cookies” and it was posted on February 3, 2014. Not only was there a list of ingredients needed to make the cookies, but there was also step-by-step instructions with pictures for each step. I believe that the pictures along with instructions make it easier for me to follow the recipe. All the pictures used in the blog looks very professional. At the end of the gummy bear cookie post, readers may leave comments. Strolling through comments, many people left positive remarks, saying that the gummy cookies is a cute idea. Next to the “About” link, I notice a blogroll with other blogs created individually by the same authors. In addition, there are social media tools on the top of the blog, making it easy for me to share this blog or certain posts with my friends through facebook and twitter. The footer and right side of the blog contains random advertisements. The advertisements are probably how the authors make money from the site. Furthermore, the sidebar of the blog contains an archive. This makes it convenient for me to find all the posts made in December for Christmas recipes and crafts I can make to give as gifts! Also, if I do not find what I am looking for in the archive, I can always type in my topic in the search field located in the header of the blog. Lastly, the contact info for this blog can be found by clicking on the “Job” link in the header. Currently, the authors are looking to hiring an iOS developer and an ABM digital director.